For those in the Northern Hemisphere, today marks the vernal, or spring equinox, while for those in the Southern Hemisphere, it is the time of the autumnal equinox . It marks the day when the sun passes over the celestial equator and the length of day and night is roughly equal, thus the word ‘equinox’, which means ‘equal night’ in Latin. 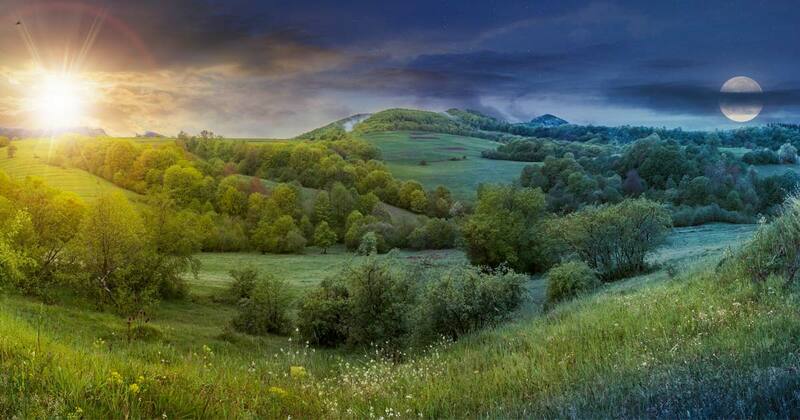 For thousands of years, the spring equinox has long been celebrated as a time of rebirth and abundance by many countries and cultures around the world. Megalithic people in Europe calculated the date of the spring equinox using circular monuments constructed of huge stones; Germanic tribes associated it with the fertility goddess Ostara; the Mayans gathered at the pyramid at Chichen Itza which was designed to produce a serpent shadow on the day of the equinox; and the Ancient Saxons held a feast day for their version of the fertility goddess, Eostre, on the full moon following the Vernal Equinox. One of the most famous ancient spring equinox celebrations was the Mayan sacrificial ritual by the main pyramid in Chichen Itza, Mexico. The pyramid, also known as El Castillo , has four staircases running from the top to the bottom of the pyramid's faces. The staircases were built at a carefully calculated angle so that at the precise moment of the equinox and for a period of about half an hour, a snake of sunlight appears to slither down the stairs. The plumed serpent of light represents Kukulkan, a snake deity whose carved head is found at the base of the stairs. Kukulkan appears twice a year, on the spring and autumn equinox, when day and night, light and dark, are equal and in balance. Whatever religious, mystical or spiritual elements were central to Stonehenge, its design also includes a celestial observatory function, which allowed prediction of eclipses, solstices, equinoxes and other celestial events. On the vernal equinox, the druids and pagans celebrated the ancient Saxon goddess Eostre, who symbolises fertility and new beginnings. English Heritage, the caretakers of Stonehenge, open the ancient site up to druids, pagans, and other revellers on the day of the spring equinox to mark the official beginning of springtime. The Grianan of Aileach is a group of historic structures atop a 244 metres tall hill in County Donegal, Ireland. 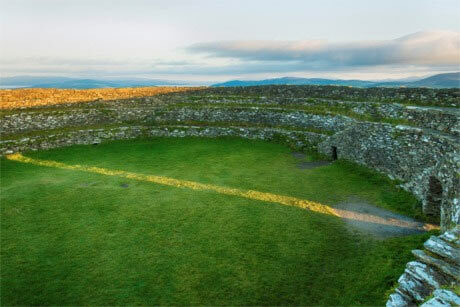 The main structure is a stone ring-fort, thought to have been built by the Uí Néill in the sixth or seventh century AD. The monument is aligned to the rising sun of the equinox, its beam effectively halving the inside of the ring into a northern and southern part. Upon entering through the gate 3 feet wide beam reaches the lower stones of the opposite wall. Angkor Wat was first a Hindu, then subsequently a Buddhist, temple complex in Cambodia, built by the Khmer King Suryavarman II in the early 12th century AD. It is a massive stone complex tucked quietly way in the dense jungles of Angkor. The layout of the Angkor temples and the iconographic nature of much its sculpture, particularly the asuras (‘demons’) and devas (‘deities’) are intended to indicate the celestial phenomenon of the precession of the equinoxes and the slow transition from one astrological age to another. On the morning of the spring equinox, the sun rises up the side of the central tower of the temple and crowns its pinnacle. Mnajdra is a megalithic temple complex found on the southern coast of the Mediterranean island of Malta, dating back to the fourth millennium BC. It is one of the most ancient religious sites on Earth. The unique, easterly orientation of Mnajdra above-ground temple suggests that the temple may have served as one of the world’s oldest solar calendars. On the Equinox days, a ray of sun enters the temple and lights up its main axis. On the Solstices, sunlight illuminates the entrance chamber’s megaliths. 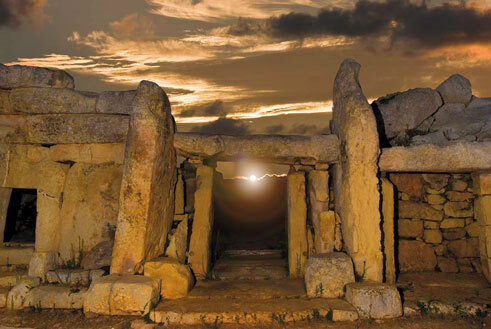 Mnajdra Lower Temple, Equinox sunrise. Photo source . The Chaco ruins in northwestern New Mexico have several structures that have main walls built in relation to the rising and setting sun on the equinoxes. also walls built in reference to high noon. there are also petroglyphs on a cliff face, spirals carved into the rock, and then slabs leaned up to cause slivers of sunlight or moonlight to track on these spirals. the Chaco people could track the sun as well as the moon across the sky. the sun takes one year to go from spring solstice to spring solstice, it takes the moon a lot longer.